Partly cloudy early then becoming cloudy with periods of rain this afternoon. High 64F. Winds NNE at 10 to 15 mph. Chance of rain 90%.. Periods of rain. Low 49F. Winds NNE at 10 to 15 mph. Chance of rain 90%. Rainfall near a half an inch. 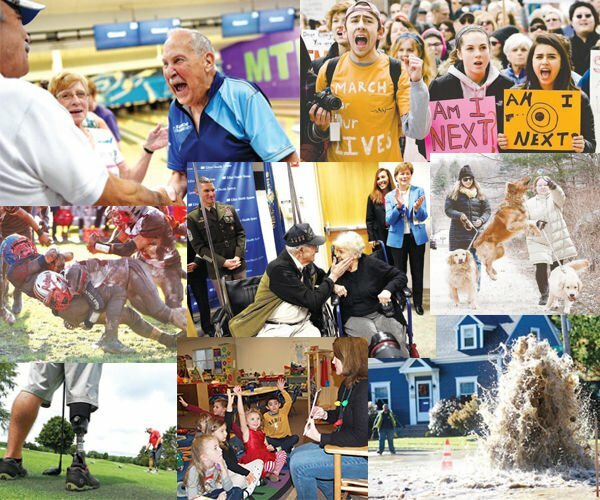 IF YOU THINK you know Mount Washington, you might want to think again. I have been dipping into “Mount Washington, Narratives and Perspectives,” a newly-revised anthology of Mt. Washington stories by Mike Dickerman, via The History Press. Mike used to run the Littleton Courier. He wrote a hiking column for years. And he was once a winter watchman at the Mount Washington Hotel. He knows a thing or two about the tallest peak in the Northeast, but he lets other writers, some of them from the 19th and early 20th centuries, tell these stories. He did an earlier version of this collection back in 1999. This one is condensed into a couple of hundred pages. A week ago, with the cable TV news providing windy, and sometimes longwinded, coverage of Hurricane Irma, I read Wendell Stephenson’s first-person account of measuring the highest land wind speed ever recorded. Luckily for Florida, Irma didn’t quite live up to its Category 5 winds of 170 mph or so. But I wondered what those on-air TV types would have had to say, if they were able to say anything, while getting wind gusts that reached 231 miles per hour. That is what Stephenson, Alex McKenzie, and Sal Pagliuca heard and felt on April 12, 1934, in their small weather observatory building at the summit. The old “Obs” has long since been torn down, replaced by the expansive and handsome Sherman Adams summit building. But the old one was still pretty sturdy when I was working on the mountain 50 years ago. It was literally chained down near the Cog Railway terminus on the summit. Tragedy has long stalked the mountain. A small marker still exists where Lizzie Bourne, just 23 years old, died in a storm in April of 1855. Her uncle and a cousin survived the night. When dawn broke, they realized they were just a few hundred feet below safety at the summit. One nice thing about an anthology is being able to pick it up and at any point find a particular story and read it through. Several of the stories in Mike’s anthology are about times and places gone by in and around Mt. Washington. The stunning hotel in Bretton Woods that bears the mountain’s name remains very much active, and its early story is told here. But the Glen House and others long ago went up in flames. Pioneer Dolly Copp’s home in the Glen is long gone, but she is remembered in this book and at the Dolly Copp campgrounds. Dolly is also remembered for putting up guests at the farm she worked with her dour and humorless husband, Hayes. That story in the anthology is taken from F. Allen Burt’s “The Story of Mount Washington” published in 1960. It, too, is one of the great books on a captivating mountain that all of us know something about but each of us could learn more. 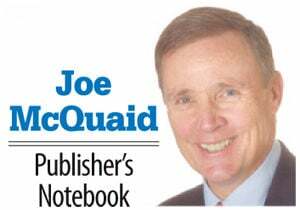 Write to Joe McQuaid at Publisher@unionleader.com or on Twitter @deucecrew.